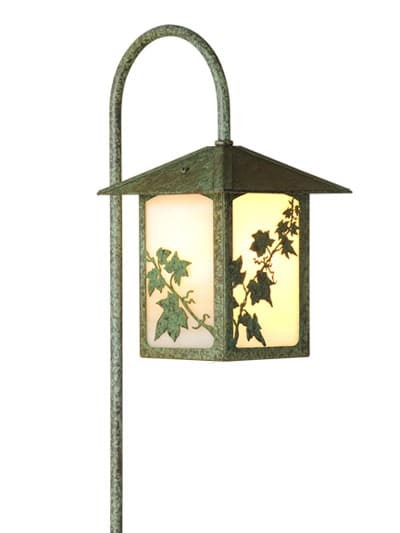 America’s Finest Cottage path light is a classic pyramid shape with exclusive rivet details. 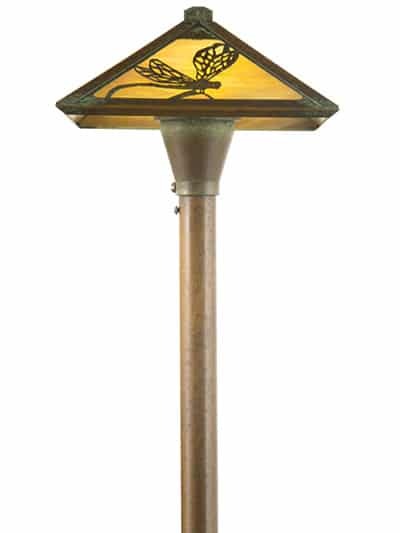 Perfect for the garden path, this American Made fixture is made of heavy gauge brass with an inner white reflector to generate maximum illumination. 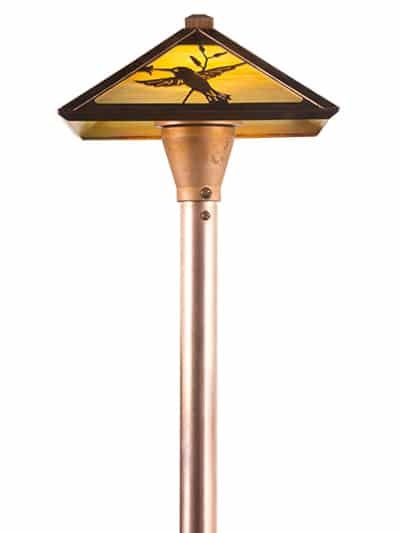 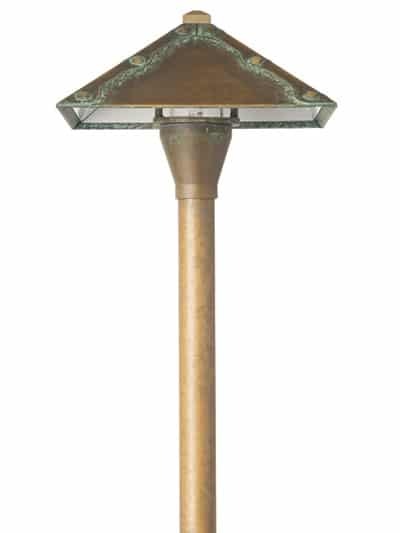 Each fixture is available in three hand-applied patina finishes and is supplied with a heavy duty ground spike, two waterproof electrical connectors and a 3.5 watt LED lamp. 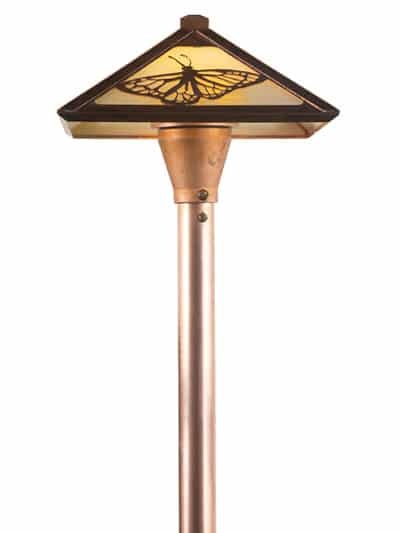 Designed to be seen and not hidden away, our beautiful new Cottage Pathway Light fixtures are as much garden art as they are functional path lighting.